Attached is the current list of pre-filed bills as of this morning around 10am. Bills will be added late today and on Monday, and we will update. On behalf of our local bar, I am pleased to announce that our current President, Jeff Smith, has been chosen by the Alabama State Bar Pro Bono and Public Service Committee to receive the 2014 Alabama State Bar Albert Vreeland Pro Bono Award in recognition of his outstanding work and service to pro bono efforts and access to justice in Alabama. He will receive the award at the state bar annual meeting in Sandestin on July 10. It was with great sadness that the law firm of Rosen Harwood. P.A. announced the passing of founder Gordon Rosen on May 14, 2014. Mr. Rosen leaves behind a lasting legacy in Tuscaloosa and in the legal community. Attached is an article, published in the Tuscaloosa News today that is a great reflection of life and legacy. Our prayers are with his family and friends during this difficult time. We are pleased to provide the Expungement Bill sponsored by Rep. Chris England. 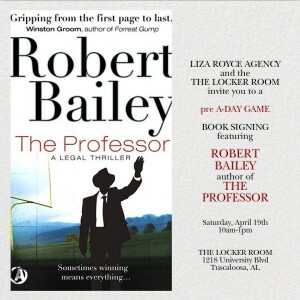 Robert Bailey, class of 1999, will host a book signing for his legal thriller and winner of the Beverly Hills Book Award for Best Legal Thriller, The Professor. 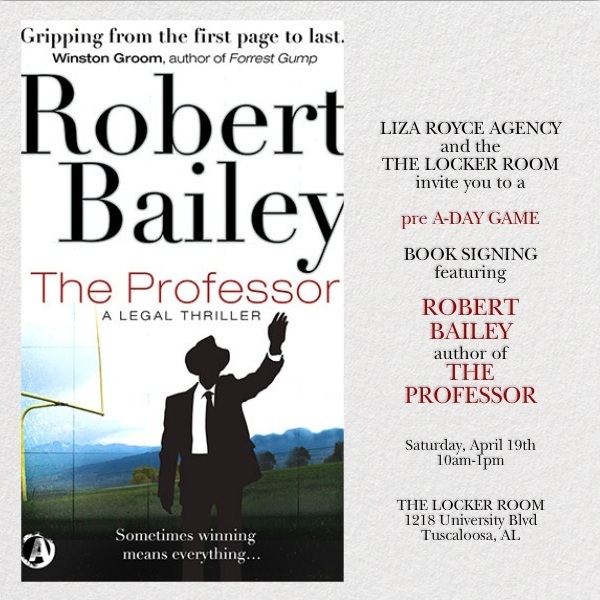 The signing will take place Saturday, April 19, at The Locker Room in Tuscaloosa from 10:00 a.m. to 1:00 p.m.
Our monthly civil legal clinic has relocated to the main branch of the Tuscaloosa Public Library (on Jack Warner Parkway) in the Rotary Room. The free legal advice clinics are open to the public and will be on the fourth Thursday of each month from 3:00 until 5:30. These dates are January 24, February 27, March 27, April 24, May 22 and June 26. Lawyers are on site to provide general advice and legal representation is not guaranteed. This service is offered through the Volunteer Lawyers Program of the Alabama State Bar. You may contact their office at 1-888-857-8571.